The journey of a lifetime ends with astronaut, Mark Watney, being left stranded on Mars. Assumed dead, he is left on this red planet with a life expectancy of 31 days. His mission has now become to survive – can he? The Martian offers the perfect start. It completely intrigued me and captured my imagination; I was honestly hooked from the first page and drawn to the character’s humour. In the book, Mark Watney tells us his story through a series of log entries. The author continually builds suspense around Mark’s outcome by introducing hurdles that stand to reduce the character’s life expectancy, which left me unable to predict Mark’s fate. Whilst reading The Martian I was always on the edge of my seat. My head would swirl with questions: Does he survive? How can he survive? Could I be an astronaut?! This book left me wishing that I could read faster as I found the story truly fascinating, especially when the methods used to extend Mark’s life on Mars were explained. Author Andy Weir cleverly explained technical processes in simple terms, meaning I didn’t once get lost or confused. The book often tugged at the geek in me and reminded me of my A-level days – the feeling of euphoria I’d experience upon finally solving a mathematical or chemistry problem. Each time Mark Watney would find a solution that would increase his life on Mars I would get giddy with excitement. I would wish that I could high five the character – another thought that kept recurring in my head! The author always has you rooting for Mark throughout the book. He achieves a loveable character that you immediately wish was your mate. Throughout his heightened predicament, he remains positive, funny, sharp and most importantly believable. I honestly feel that if it wasn’t for the strength of the character, this book would not be as successful. There were many laugh-out-loud moments during this read, which were hugely welcome taking into account the fact the story is pretty much about a man continuously facing death. I was thoroughly entertained throughout this book and I highly recommend it. Quite simply, it is like a funny, intense, edge-of-your-seat roller-coaster filled with suspense and I absolutely loved it. 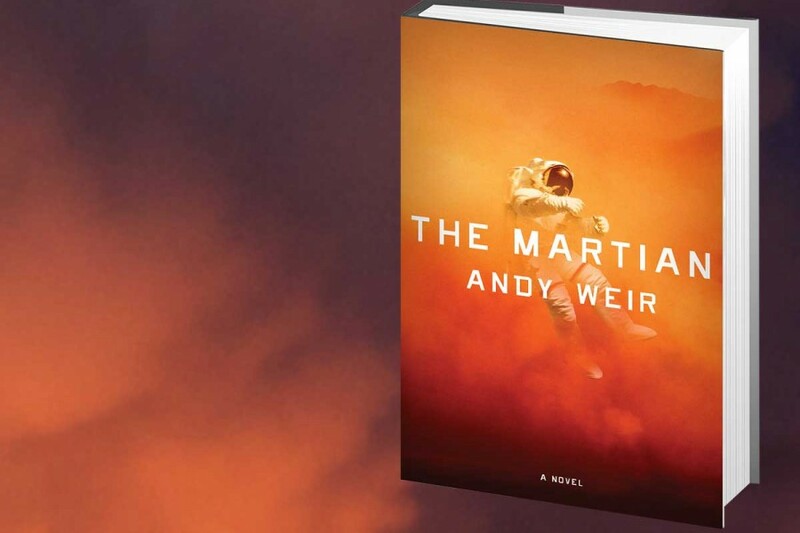 The Martian truly deserved the Good Reads 2014 Best SF book award. Hugely deserving of the Goodreads 2014 Best Sci-Fi Book Award! * Prima’s book reviews are also available at Goodreads.